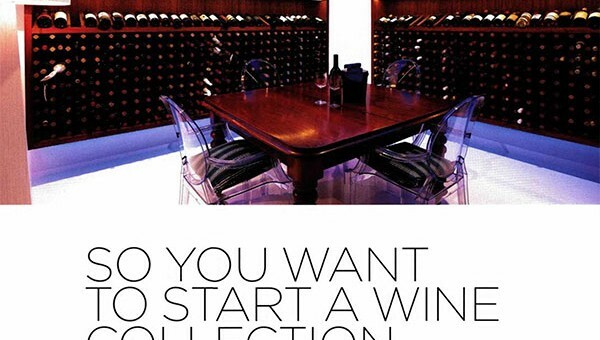 So you want to start a wine collection? David Sly in SA Life. The joy of cellaring wines leads to savouring their character in maturity. Flavours develop with age in the bottle, and you only experience this if you hold onto wines and test them over time – so having just one bottle of expensive wine gathering dust doesn’t make a great wine collection. It’s more important to build a library of wine that has diversity, reaching across different producers, grape varieties and regions, while amassing significant volume – without spending a fortune. MANY PEOPLE start holding onto wine after receiving a notable gift – perhaps the coveted Henschke’s Hill of Grace shiraz or Penfolds Grange. However, buying by the dozen is how to create a cellar that can be referenced and tasted at different intervals, to understand how wine develops. Aged wines have distinctive flavours that are far removed from fresh and fruity new vintages, and while ageing dulls primary fruit character, it introduces more nuanced flavour melds and rich textural harmony. Change becomes more pronounced as wines age more, but remember that wines don’t last forever. Ask winemakers about the optimal window of opportunity. Cellars are largely thought of as the domain of red wines, yet some of the greatest changes occur in cellared whites, as their delicate palates radically transform to present more complex flavour spectrums. Whites are mostly cheaper than reds (most don’t require expensive new oak for maturation), but some have very limited cellaring potential – especially Australian chardonnay, which generally hits its peak about four years after vintage. Riesling is the glorious prince of aged white wines, enjoying an especially long life if stored carefully, and South Australia is blessed with several regions that make many of the best. Buy across regions to make comparisons, such as Clare Valley’s rich lemon-lime flavours at counterpoint to Eden Valley’s lean minerality. If you buy a dozen, you’ll see subtle changes and development with each passing year. What does aged riesling taste like? D’Arenberg currently has limited stocks of its highly awarded 2008 Dry Dam Riesling available from cellar door ($29), showing luscious lemon butter and honeysuckle characteristics, in comparison to the current release 2015 vintage ($18) showing bright citrus blossoms and a firm lick of fresh citric acid. Semillon is the Barossa’s forgotten beauty, discarded by many but still cherished by a few true believers. 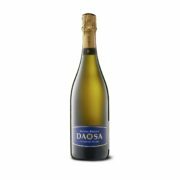 It thrives in the cellar, as its bright lemon pith bite eventually softens into rich lemon curd with traces of honey and brioche. Try Kaesler Old Vine Semillion ($25) and Rick Burge’s marvellous Olive Hill Semillon ($28, and ask for older vintages at his cellar door in Lyndoch). White grape varieties from France’s Rhone Valley are proven winners in the cellar, such as marsanne. 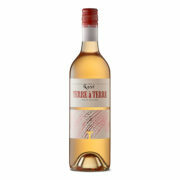 Chateau Tahbilk in northern Victoria has Australia’s oldest marsanne vines (dating from 1927), producing an outstanding unoaked wine that blends citrus with fleshy stone fruits, and fresh honeysuckle aromas. 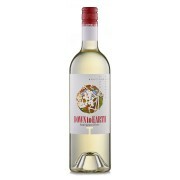 At $18, it represents extraordinary value, and matures magnificently. Leave it for five to 10 years for a rich honeyed flavour and colour to develop. Another delicious Rhone cellar treat is roussanne (Yalumba, $24) and try the rich, textural blends of marsanne with roussanne and viognier, such as John Duval Wines’ Plexus ($30) or the bargain buy of Turkey Flat Butchers Block ($21). Some unexpected white wines shine from cellaring, such as sauvignon blanc from Katnook Estate in Coonawarra ($35). Winemaker Wayne Stehbens was among the first to plant this variety in SA, and his museum wines look incredible for their freshness and rich palate. Cabernet sauvignon is the great beneficiary of time spent in the cellar. It’s a grape variety with a stern tannin profile that looks severe in its youth, but sumptuous and silky on the palate after more than five years in the bottle. Australia has obvious cabernet strongholds: Coonawarra and Margaret River boast the most prestigious producers, and command the most serious prices, although a canny collector will look at worthy neighbours for smart value purchases. The Wrattonbully district boasts similar terroir to Coonawarra, and is constantly winning higher praise – exemplified by Terre a Terre’s cabernet ($40) from Xavier Bizot and Lucy Croser’s impressive 20-year-old vineyard. Clare Valley has historically produced cabernet with a silky body and rich palate, yet these great wines are often overlooked. 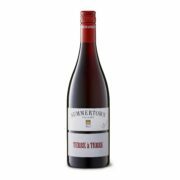 Beyond the pricey icons (Jim Barry, Wendouree, Taylors’ St Andrews), there’s value and consistency to be found in the entry range of many brands, such as Taylors Cabernet Sauvignon ($17). 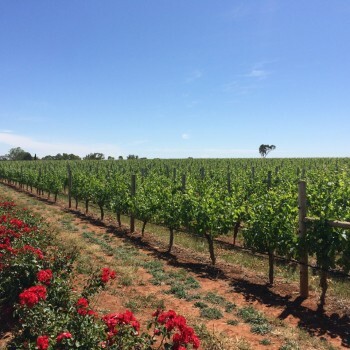 McLaren Vale has staked its claim as a premium shiraz district; its cabernet continues to win international awards (from Shingleback and Chapel Hill to Rosemount) and offers great value at an entry level. Try Coriole’s cabernets – Redstone ($20) and Estate Cabernet ($30). Langhorne Creek, often the unsung hero in multiregional blends, also offers superb value, especially Greg Follet’s superb Lake Breeze Cabernet Sauvignon ($23). Even pockets of the Adelaide Hills defiantly show that a cool, hilly region can ripen cabernet, evident in The Lane’s trophy-winning Block 1 Cabernet Merlot ($39). Barossa cabernet is also a mighty wine in a good year – with 2012 noted as outstanding. Search them out, and let them rest even longer. Shiraz remains a significant pillar of any South Australian cellar, with smart collectors choosing more than one region, because cellaring amplifies the difference of place in a wine. Two Hands Winery in the Barossa explores these points of difference with zeal. Its gigantic portfolio presents 18 shiraz from six regions across Australia, many of them being single vineyard expressions, ranging in price from $25 to $165. To understand the differences, visit the superb Two Hands tasting room in Marananga, and be sure to go home with more than one shiraz style. In McLaren Vale, the Scarce Earth range also shows off single vintage variations of premium shiraz from a variety of producers. If you’re looking for value, try Shingleback’s Estate Reserve Shiraz ($23.50). Wines that benefit most from years in the cellar are the big tannic beasts: try nebbiolo (SC Pannell and First Drop Wines), durif (919 wines) and the Georgian grape variety seperavi (Hugh Hamilton Wines and Handcrafted by Geoff Hardy). 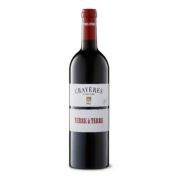 These dark, brooding wines are notoriously hard and unyielding in their youth, due to especially tight tannins, but they soften with age to reveal exciting, complex flavour profiles, with delicious meaty texture and moreish savoury flavours. The above article is from SA Life Magazine, December 2015.
ozwinereview: Down to Earth "admirably good"